A Broods x 'Don’t Feed The Pop Monster' appreciation post. After teasing new album 'Don’t Feed The Pop Monster' with the brilliant taster-songs, 'Falling Apart', 'Hospitalized', 'Everything Goes (Wow)' and 'Peach', Broods have today released their new full-length - a masterclass in musical evolution, which marries raw emotion with pop sensibilities and a progressive sonic palette. #1. 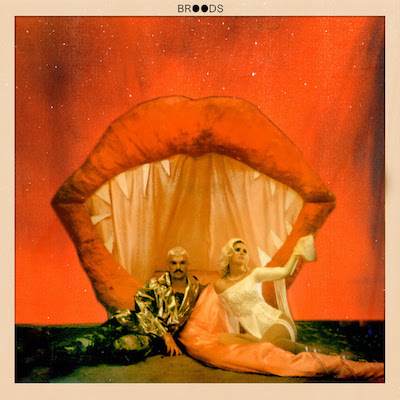 About the album, the Broods' Georgia Nott says: "Our goal was to make songs that are true to us, without hiding behind any kind of façade. We worked really hard and went through a thousand different emotions in the process. The fact that we can feel so many different emotions and still make something that’s so true to us—to me that’s the most important part of this whole experience and we’re so excited to finally share this album with the world." #4. Broods are set to debut their new live show in New Zealand next month, with an appearance at Homegrown, as well as playing Christchurch's Town Hall on March 22nd and Auckland's Town Hall on March 24th. #5. Broods supported Taylor Swift throughout Australia and New Zealand at the end of last year! Broods' new album 'Don't Feed The Pop Monster' is out now - click here to purchase.